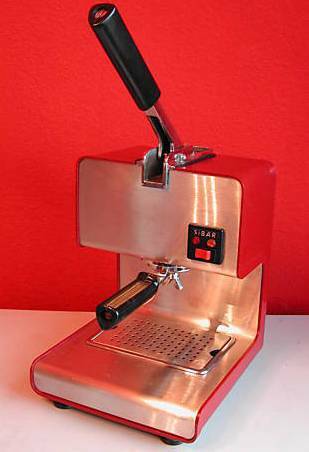 The Aplimont (acronym for Montajes Y Aplicaciones Industriales) produced in the '70s and '80s coffee machines for domestic use, as also documented by an advertisement of the 80s.. In particular, produced the famous lever model named MINIGAGGIA, designed by André Ricard and presented to the press on March 17, 1972 as written in a newspaper of the time. The model has open boiler and spring operated piston, with or without steam pipe. Aesthetically pleasing, show a feeling of strength and practicality. Is quite rare and sought after and there are some variants produced under the brand MINIMOKA e SiBAR. © 2011-2017 Francesco Ceccarelli. All rights reserved.